You looking absolutely gorgeous in this outfit. Love the color of the Shirt and the Skirt is amazing. 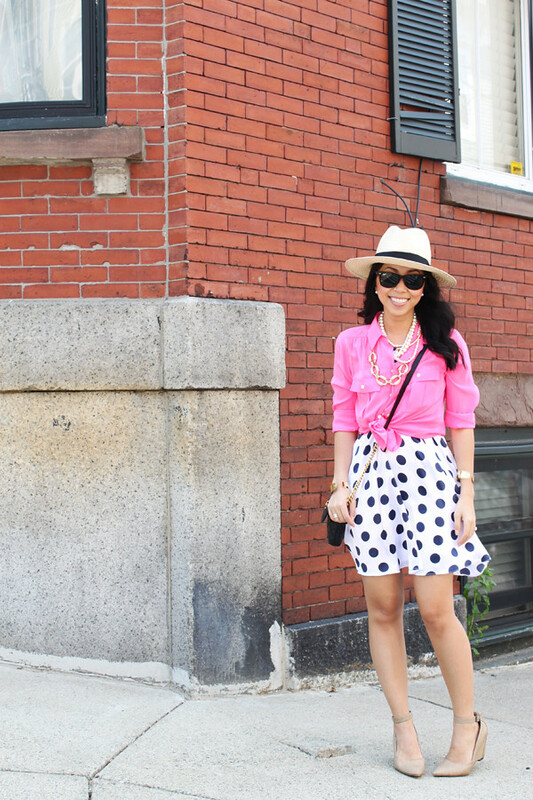 I love that fab little polka-dot skirt -- too cute! Such a cute outfit! I want your shoes! I love the bright pink and big polka dots together. 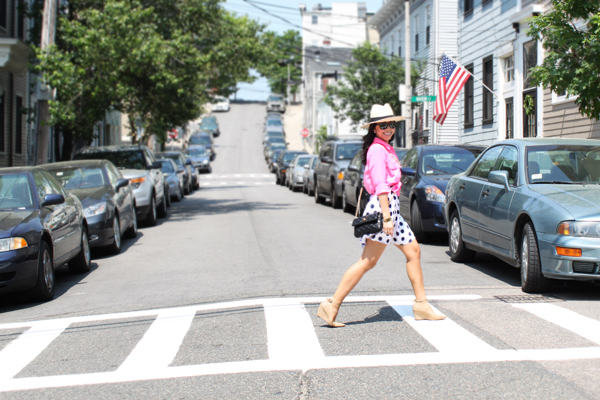 Pink and dotted - you couldn't look more adorable. I love it Khatu. Simply adorable and chic !!!! Looking good and stylish. Love the outfit. love it - especially that skirt! You always create outfits that are fun, chic, and very put together! You have a serious eye for styling. Lovely photos today; and a great outfit, as always! I wish I had your DIY skills! ahhhhhh this outfit is tooo much fun!! This is such a cute outfit! I love it! Those diy shorts are adorable! i have been looking all over for you. I accidentally deleted the list of my blog links and my bookmarks! and am glaaaaad i have found your blog again! yey! this is a happy day. btw I love the polka dot skirt and the bright top. so meant to be worn together. 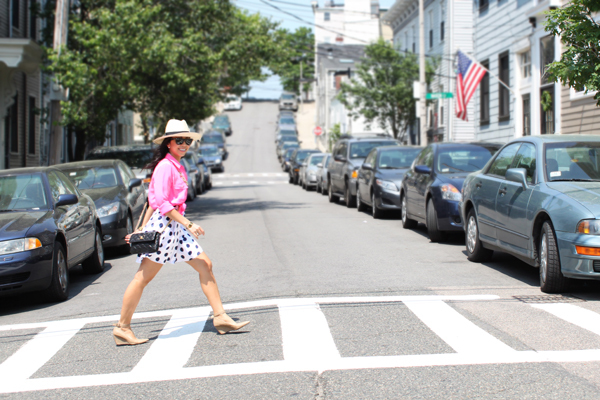 Love the bright pink paired with polka dots. A great way to remix this dress too!